At Smith Steelworks, our designers work to create personalized memorial benches to help pay tribute to your loved ones. Our team will work directly with you to make sure that the memorial bench exceeds your expectations. This particular bench was one of the most unique benches that we have had the pleasure to make. 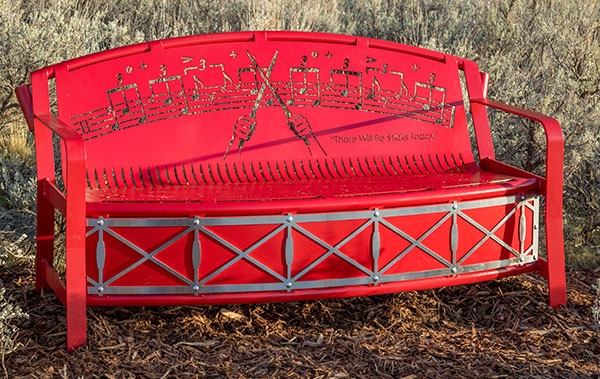 Keep reading to learn more about the drum-styled bench. Here’s a closer look at how our benches are designed. The first step is to come up with the design concept for the bench. 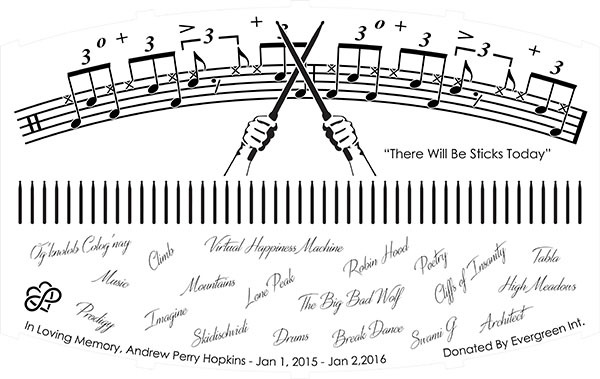 For this memorial bench, we decided to focus on Andrew’s love of music and the drums. Our design team brainstormed with his father until we came up with the idea of turning the bench into a snare drum. Once the mockup has been approved, the bench is taken to laser cutting. After that, the metal is bent and welded. The memorial bench is then taken to be sandblasted, primed, and powder coated. This process removes unwanted impurities from the metal and creates a durable powder coat finish. The drum sheet music for Andrew’s favorite song, The Rain Song by Led Zepplin. 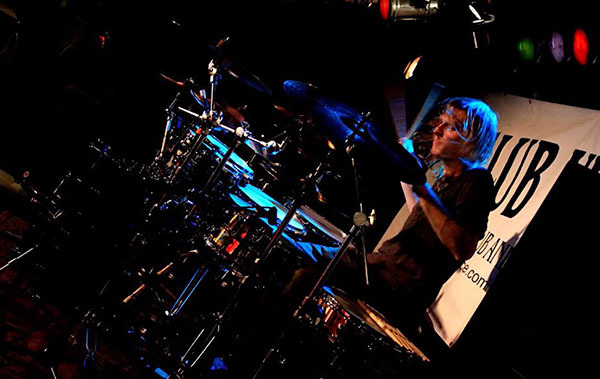 Typical hand gesture for a drummer when setting the tempo for the next song. Symbolizes this is not the end, it’s only the beginning. ‘There Will Be Sticks Today’ was his signature motto. People can ponder this quote and find their own deep meaning of the phrase. Created drumstick shaped slats to go along with the overall theme of the bench. The seat features Andrew’s roles, accomplishments, and personalities that he was known and loved for. The cursive font illustrates that he was larger for life, destined for greatness, and that his impact on society will never be forgotten. The celtic symbol on the left side connects eternity and love as a further declaration that he will always be loved and remembered. The front of the bench is arched with a stainless panel placed on top. Stainless steel bolts fasten it into place to give the memorial bench the look of a snare drum. Personalized memorial benches are a beautiful way to remember and honor those that have gone before us. Although the bench can be placed in the cemetery, many families choose to put the bench in parks, schools, or other public places. Andrew’s Memorial Bench was placed in his favorite park where his family shared many memories with him. Watch the video on the right to learn more.